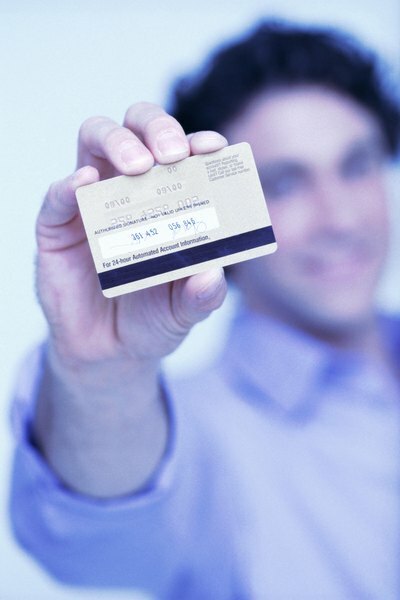 Spouses without incomes can obtain personal credit cards. 1. Does Marriage Affect Your Credit Score? The Credit Card Accountability and Disclosure Act of 2009 was largely consumer-friendly. However, one provision required credit card lenders to consider individual incomes, and not household income generally, when granting individual credit card accounts. This put many stay-at-home spouses in jeopardy of credit rejection, even with solid credit scores. The rule has been amended since then for spouses who lack income. Other alternatives also are available for such spouses who want credit cards. The amendment to the CARD Act allows lenders to review not only individual income, but also household income. The provision requires that the applicant be at least 21 years old and have a "reasonable expectation" to be able to access the household income. This amendment was announced by the Consumer Financial Protection Bureau after stay-at-home spouses seemed to be unfairly targeted in the CARD Act. So if you don't have your own income but have access to your spouse's income, you have a chance to get approved for your own credit card. The amendment to the CARD Act doesn't change lenders' prerogative to base their loans on their own internal credit criteria. A spouse with no income and poor credit will still have trouble qualifying for an individual credit account. However, with strong credit scores and access to household income, a stay-at-home spouse without personal income has a strong likelihood of qualifying for consumer credit cards. If you're a stay-home partner with blemished credit and no personal income, you still have options. One of the most popular methods of obtaining credit is signing on to a joint credit card account with your spouse. If your spouse is the breadwinner and has solid credit scores, most lenders will look favorably on a joint credit application, despite your credit failings. Lenders see two obligated signers as a favorable credit risk, particularly if one signer has sterling credit. Authorized signers on credit accounts are those who have access to the account for purchasing but aren't obligated to repay the account. Bringing a spouse onto a credit card as an authorized signer is a good way to build better credit, so long as the obligated partner repays the credit card loan consistently. Parents often add teenagers to credit card accounts as authorized signers to help teach credit management skills and build credit.